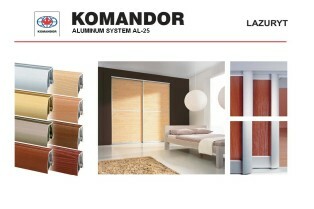 Komandor’s Lazuryt aluminum sliding door line was the second aluminum bi-pass sliding door system offered by Komandor. 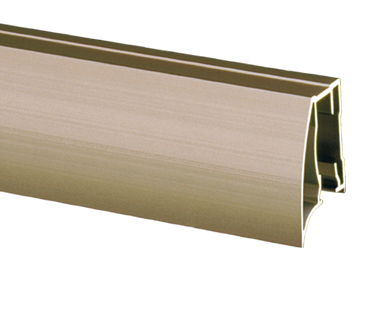 Like the AGAT door line, Lazuryt systems may be set-up on single, double or triple tracks with single door configurations typically being used for barn door applications where the door slides along a wall and double and triple door configurations typically being used in closet door openings. 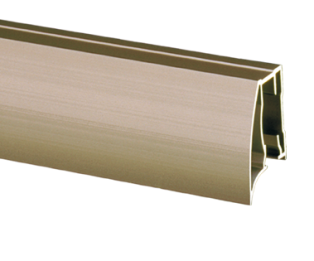 The Lazuryt system’s frame and track components are made from high precision extruded aluminum, typically with an anodized finish but there are paint and laminate finishes available. The face of the Lazuryt aluminum door frame measures 35mm (about 1 3/8”). 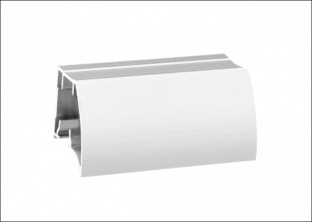 This profile has a semi-crescent shape on the front side and is square on the back. 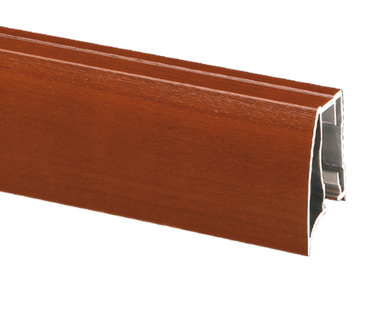 The pronounced profile shape and size make it comfortable to slide the doors open and closed. 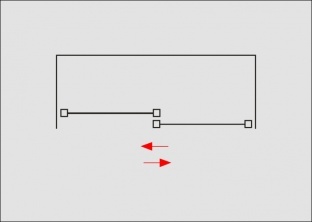 Another benefit with a wider shaped profile is that you are less likely to get fingerprints on inserts such as glass and mirror. 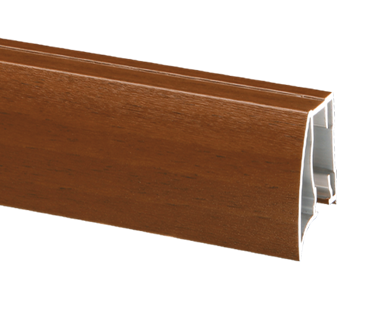 This frame also accommodates just about every insert material that we offer and has the option to combine different materials (for example glass and panel) in the same door. 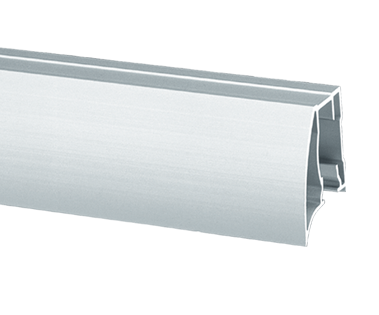 Lazuryt aluminum framed doors also have the option to use a bendable joiner rail to create curved inserts. 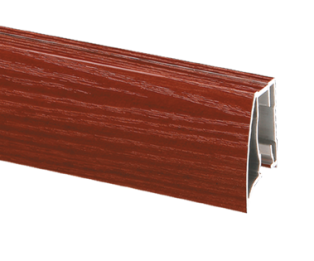 You may specify the exact proportions of the sections of your door for a more personalized finished product, make them all equal or different heights. 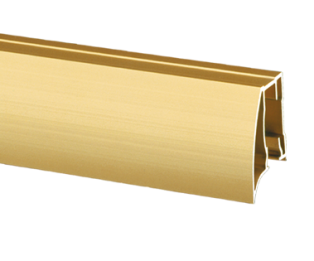 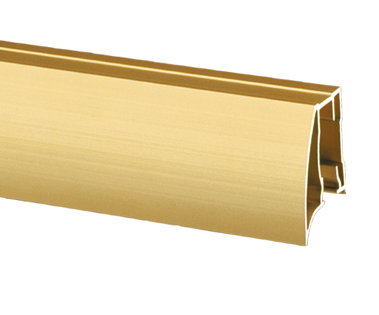 Decorative divider trims are another option and can be applied to an insert to give the appearance that the door has multiple sections or lites. The Lazuryt line of aluminum sliding doors also has an innovative set of corner profiles that make it possible to design sliding doors set up in an L-shaped configuration (such as an L-shaped wardrobe). 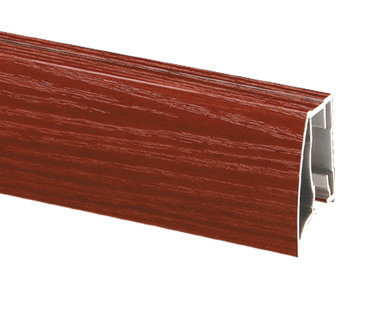 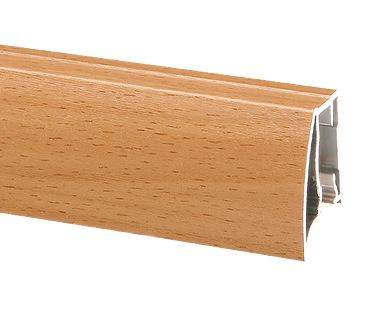 The profiles can be used on an inside or outside corner and give the doors a proper finished look where the doors meet at the 90 degree transition. A strong magnetic strip holds the corner doors together when closed. 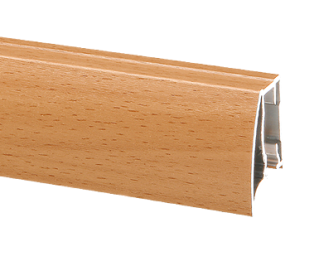 One of the best features of the Lazuryt line of doors is that the roller hardware is completely hidden within the frame of the door and the fastening of the roller hardware to the door frames is invisible. This gives the door a finished look on the front and back side of the door which means it can be used as a room divider or partition.